3 Bedroom End of Terrace House For Sale in Bedford for Guide Price £250,000. 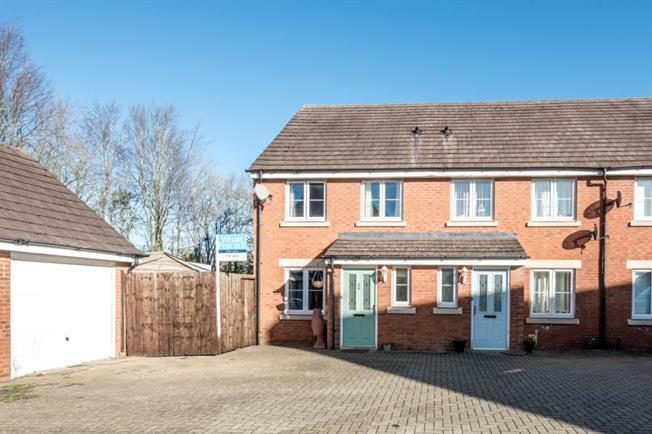 The property comprises of entrance hall, with door to W/C, lounge with oak flooring and stairs to first floor, kitchen diner with double doors to rear garden. The first floor offers three bedrooms with en-suite to master, the further two bedrooms are serviced by the main bathroom. Outside offers large private rear garden with decking area, large shed and access to garage, there is also space to park in the garden. The the front of the home you have the garage which has been partly converted, with parking in front.